Wakeup call. 4:25 AM. Brother Tony graciously brings us to the Gerald R. Ford. They fly airplanes from there, even at crazy early hours. John got us thru the check-in and baggage drop unscathed. After a word of prayer and goodbyes, we headed for TSA inspection (Only 2 belts had to be removed). The 20-minute flight to Detroit was uneventful, but the 4 hour layover was not. 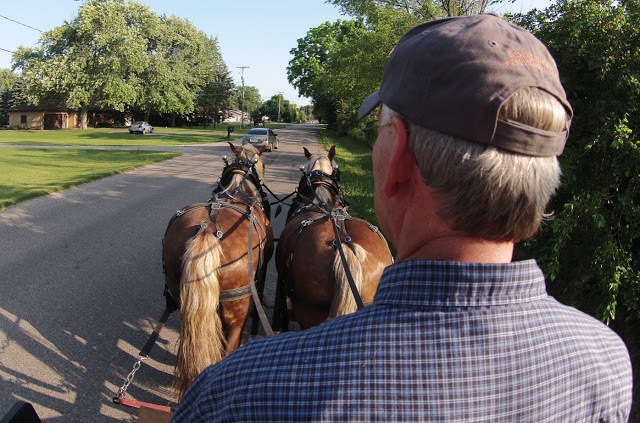 Rich and dad spent most of the time trying to figure out how far a farmer would walk while plowing an acre of land. More challenging was the task of keeping Rev. Overway awake until the 14 hour leg of the next flight. (He got 1 hour of sleep after the late meeting of Classis, and his last minute shopping spree at Meijer’s in preparation for the trip). The airplane was loaded with bags, food, and water. Plus it doubled it’s weight by adding enough fuel to get us to Seoul, South Korea. We departed Detroit, heading almost due North. On the way, we encountered Hudson Bay. We saw our first snow on the ground. Dad, musing aloud, was thankful that Henry Hudson had discovered this bay, because if he had not, we would not have gone over Hudson Bay. We continued toward the North pole, while Rev. Overway caught up on some much needed rest. I was told to open the shade and look outside. Nobody ever does this. AMAZING! Amazing was God’s beauty above the clouds as we witnessed the setting and rising of the sun in a brief period of time. 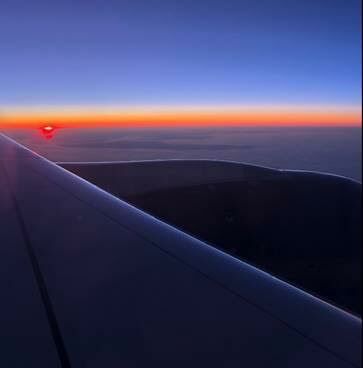 We also looked carefully for the North pole, but could not find it because of the high altitude and possibly because it was hidden under the plane’s wing. Our flight continued over Canada, Russia and China. The plane crossed the international date line as we left Thursday in the past and jumped directly to Friday. We thought the plane rocked slightly as we crossed it. Over Russia, we climbed to 40,000 feet. A mile higher than normal. To avoid Putin’s missiles (Remember the 1983 Korean Air flight 007?). Before final approach into South Korea, we actually went all the way AROUND little rocket man’s country of North Korea. He has missiles, you know. After loading up on Crispy Creams, we boarded Korean Air for the last leg of our journey to Yangon. Only 8 more hours! The seats were terrible, but we slept anyway out of sheer exhaustion. ARRIVED! Yangon. The largest city in Myanmar. After cruising through customs, (thanks to one of our member’s expertise) we located our bags with ease, thanks to Val’s ribbons (you can ask her about this). Then it was off to meet the greeters: Rev. Titus, CertTe, and the 4 J’s: Jemimah, Josiah, Jeannette, and Jo- Anne. Due to our many bags, we needed 2 vehicles to get us to our home for the next 10 days: the famous (infamous?) Venus Hotel. We survived the mosquito fog in the hallways, now wondering if we actually needed to continue taking our malaria pills. After John read Psalm 115 for devotions, Rev. Titus closed with prayer, giving thanks to God for a safe journey, and for those back at home. 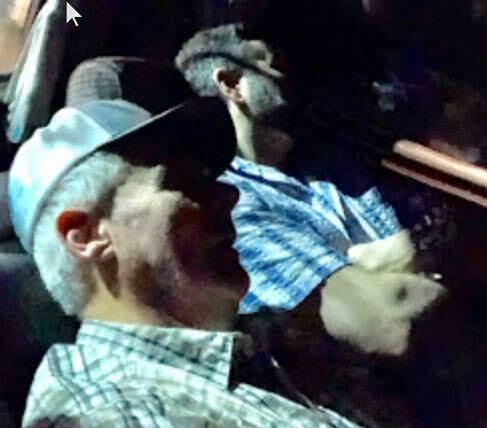 It was early Saturday, 30 hours after Tony picked me up. Time to shower and hit the hay. Wakey-wakey it’s 7:00 AM. Good night’s rest. Dad’s snoring did not keep me up. I had my ear-plugs in. I headed downstairs to meet dad and the guys at breakfast. I inquired about dad’s attempt to “walk around the block.” He learned that blocks do not exist in Yangon. Almost had to phone for help to find his way back to the Venus Star. As we sat down for breakfast, joining us was hungry Clyde, obviously waiting for some table scraps. After breakfast, the Council delegation met with Rev. Titus to discuss matters concerning Hope Council’s “mandate list”. While they did this, Dad, Josiah and I went out for a little stroll. WOW! The looks we got seemed to say “what are you doing here?” Hard to explain in words what I saw. Chaos on the roads! Horns blaring! People working on things we would send to the landfill. Others were looking through trash for anything that might help them survive in their cruel world. Then there is the stench of open sewers. Where is Kalsbeek Plumbing when you need them? Only the stray dogs seemed to know what to do: they were sleeping on the street. While there were a few nice homes, their owners appear to have no concern for their neighbors who live under tarps. That’s everyday life for many in Yangon. Walking the streets can be dangerous in Yangon. Josiah and I found that out the hard way when a biker swerved to miss us (thankfully) and hit a car instead, resulting in a fender bender with a truck that was following. Josiah looked at me and remarked that these things happen all the time in Yangon. The biker hopped on his bike as if nothing happened. Life goes on. Back at the hotel Dad and I talked with Josiah about his education, the job he recently obtained as a civil engineer, and various other subjects relating to his and his sisters lives as young people in Yangon. This was not a one-sided conversation however, as I informed him of my daily work and related activities including golf and hockey . Josiah concluded he would likely stink at hockey since he had no experience on the ice, and no ice on which to gain experience. The marathon, three-hour meeting of the delegation with Rev. Titus now complete, it’s time for us foreigners, Rev. Titus and Josiah to venture deep into Yangon. We started with a “traffics jamming”(Rev. Titus’ terminology) journey to Shwedagon Pagoda (one of the largest Buddha temples in the world). Gold, gold everywhere gold; valued at 5 billion U.S. dollars. All for the worship of an idol god. Apart from the grace of God we would be no different. Thanks be to Him. On the way into this home of Buhhda three of our number (Betty, one of them wasn’t Rich, and by the way he did not indulge in partaking of a Crispy Creme donut as I wrongly reported yesterday), were in violation of the pagoda dress code. They exposed too much leg. To correct this serious violation they were required to wear longies (skirt-like garments ). After our tour guide, Rev. Titus, lead us through the finer points of Buddhism we headed out; but not before John had a run in with the big Buhhda. Apparently the big guy was offended by John’s longie and promptly de-longied him. Even the sober-minded Buddha worshippers in the area could not keep from laughing. After hitching up his longie, John made a swift retreat for the parking lot. The rest of us dutifully followed. From there we headed to a restaurant for Chinese cuisine. There was nothing on the menu that Rev. Titus did not order for us. We left with full stomachs and tons of leftovers on our table. Then it was off to Bogyoke Aung San Market for beads and trinkets. On the way to the Junction City Mall, we received the eerie evening call to prayer from the local mosque. Instead of heeding that call we strolled around the mall and finally ended up at a coffee shop where Rev. Titus insisted that he had a better picture of a tree on his phone than dad did. While the voting was unanimous in favor of Rev. Titus’ picture, the debate was never completely resolved. The weary travelers headed back to the hotel. At Rev. Overway’s insistence we adjusted the back seat of the van for sleep mode demonstrating our trust in Rev. Titus’ driving. Home again, home again, jiggity jig. It’s Sunday morning. Two things woke me up earlier than normal: at 6 o’ clock my alarm was a crowing rooster and the chanting of some Buddha monks. Then it was off to the lounge where five of our six were at breakfast. Clyde must have had an early church service, was sick, sick of us, or …. After breakfast It was back up to my room to get ready for the 10 o’clock pick up for church by Rev. Titus. The questions I struggled with were: coat or no coat? tie or no tie? shoes or sandals? After careful consideration I ended up with no coat, a tie and shoes. Josiah and Rev. Titus were right on time since “traffics jamming” was at a minimum this morning. 15 minutes later a peep of the horn informed the church service accompanist, Timothy, Rev. Titus’ brother that it was time to provide us entrance into Rev. Titus, gated property. Surprise! Church is packed with many more people than I had expected. On my seat was a packet of translations from English to Burmese of what Rev. Titus put together for his congregation during his spare time last week. The packet included a chapter from Come ye Children, I Samuel 19: 1-14, Belgic Confession article on “The Creation,” and chapter 5 of Five Points of Calvinism. : Rev. Titus led the worship service up to the time for the sermon when Rev. Overway came up and preached on Eph. 6:12, expounding on our battle against demons while Rev. Titus translated (For the early afternoon service Rev. Overway preached his old year’s sermon on Titus 2.) 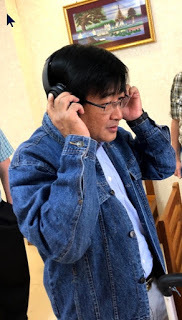 The spirited singing of the Psalter numbers by our Burmese brothers and sisters brought me to tears. Between services we ate a scrumptious lunch served by CerTe and the four Js. (If you don’t remember who they are, you need to reread “Seth’s Side” # 1.) Also at this time the individual families of the congregation were lined up by the side of church and shot—by John’s Sony RX100V Exmor 4K Cyber Shot. Following this the whole group was lined up and shot by John. No one was missed. While Hope’s delegation and Rev. Titus were meeting with the consistory, I had a niece chat with CerTe and the rest of the family. It was a first for me to speak through a translator (Josiah, Rev. Titus’ son). 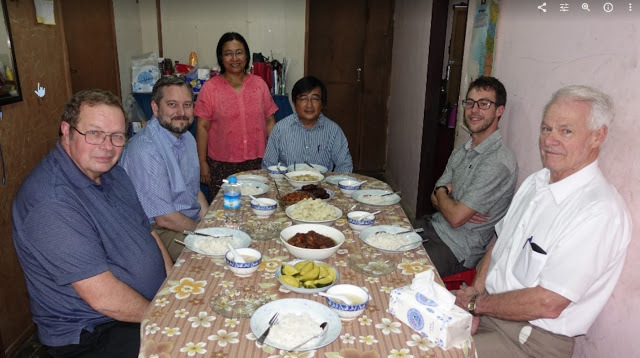 Then it was time once again to navigate the crowded streets of Yangon back to our hotel where completion of “Seth’s Side” #2 awaited. 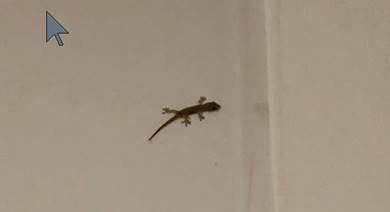 After our nightly bed search for Gordy the gecko we cashed out. My alarm clock crowed at 3 A.M. this morning thus robbing me of three hours of much needed sleep. What was he thinking? Maybe he miscalculated a time change in Myanmar, but a three hour time change? Surely I wasn’t the only one affected! Now that I am over that rude awakening, Good Morning! This morning was a little different. We ventured out to the neighboring, “Sports Complex and Cafe”, for a cup of coffee. 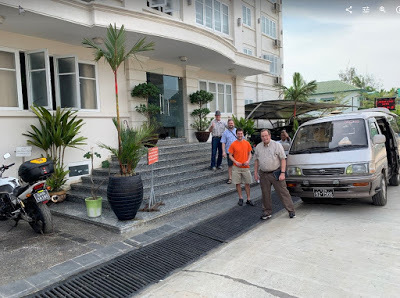 Finding out soon that they didn’t serve breakfast, we scampered back to the Venus Star Hotel to eat what they had to offer. 8:30 was our intended pick up time, but things got a little late. When Rev. Titus arrived, we learned that a large truck had broken down in front of Rev. Titus’s driveway prohibiting him from leaving thus causing a half hour delay. Rich added to the delay by bumping the cord to the projector resulting in the need to reboot. You will have that in Yangon. As Rev. Overway and I stood in the back waiting for the projector to be set up, Rev. Overway counted over 40 people in attendance. Many of the faces were familiar to him from the conference he led 4 years ago. Both of us are very encouraged by the turnout. Further study revealed from where the attendees had traveled … had traveled … had .…(see map). The three women attendees traveled the greatest distance to attend the conference; about 900 miles. It took them 4 days and many modes of transportation including walking, train, boat, car, motorbike and bus. They came in the place of their husbands who could not attend because they had harvesting to do on their farms. So today the seminar speeches began. After a brief introduction by Rev. Overway of the overall outline of the conference (slide of conference schedule), Dad was introduced as the first speaker. His topic: “What is a worldview?” After explaining a series of questions the answers to which help identify a person’s worldview, the conference attendees were divided into groups t o come up with answers to the worldview questions based on Scripture and the creeds. This led to a very profitable discussion for all and gave us a better understanding of the Biblical and creedal knowledge of those in attendance. Time for lunch. 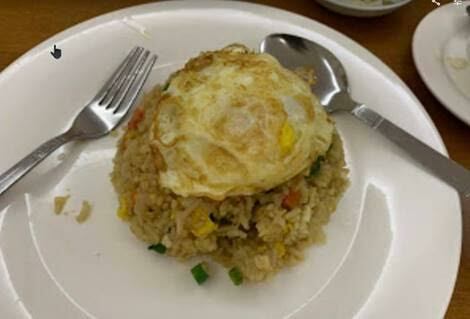 We received another mouth watering lunch prepared by chief cook Certe, 3 of the 4 J’s and others. It should be noted that the food here is 100 times better than I had expected; not helpful to anyone on a diet plan. Do we need to give up our traditions if we hold to a Reformed worldview? If Christ died only for His own, is He partial? In Genesis 6 we read that God repented. Does this mean that God changes His mind? God wants all to be saved (I Timothy 2:4). How do you explain this? In I Corinthians 15:40 we read about celestial or heavenly bodies. What does this mean? After an uneventful drive back to our hotel, we walked (Wives, I am trying to provide your husbands with some opportunities for exercise. Also, no Crispy Crème donuts were allowed.) to the Million Coins for supper. While the name Million Coins suggest it is expensive to eat there, actually it is cheaper than the happy meal at the Golden Arches in the USA. Breakfast was a bit behind schedule this morning because Rev. Overway left us to go across the street for his fix of caffeine and he was slow in returning. At first we thought he went to look for Clyde at the neighboring sports complex, but in reality he was preparing for today’s speech. After Rev. Titus peeped the horn of his rented van, the gate slowly opened to reveal our new gatekeeper: “Good morning Certe!” A glance toward the dining area showed the conference attendees finishing up breakfast and preparing to find their seats in the Conference Room. 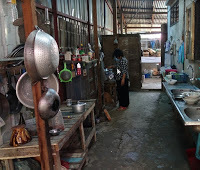 A glance toward the kitchen area showed the kitchen clean-up crew going full speed ahead. Are all believers included in God’s plan in eternity as well as unbelievers? How do we understand that God wants all to be saved? How should I respond to the charge: God made the tree in the Garden of Eden bad so your God must have some bad in Him? After another top-notch lunch and the afternoon lecture by Rich Peterson on what it means to be unequally yoked with unbelievers, it was time for pictures, pictures, pictures, pictures and more pictures. Lots of shots of conference attendees by the Sony RX100V Exmor 4K Cyber Shot and John as the shooter. Those shot were the whole group of attendees, group pictures of those from eight different parts of Myanmar, one from India, and individual shots of all those at the conference. One highlight of today’s activities was the distribution of the book Doctrine According to Godliness by Rev. R. Hanko to all Burmese seminar attendees. This book was translated by Rev. Titus, partially financed by the students of Hope PRC School, and the project was managed by Rev. Titus’ son, Josiah. The silence is deafening! For the second day in a row there was no crowing from Robby. Likely our suspicion is correct, Robby is soup! But a second silence is also deafening; the absence of Buddha monk chanting. One can’t help but wonder if the Buddhist monks chant at the beck and crow of the rooster; without whom the monks know not what to say. Breakfast at the Venus Star was quite uneventful. However, the absence of Clyde is becoming more and more distressing. We haven’t seen him for two days now, and it’s not for lack of looking. In my mind Clyde’s absence is due to old age, desertion, or he is sick or injured and is in the hospistol; the latter being the most likely since one of the Venus Star Five noticed Clyde appeared to be hurting the last time he was seen. I think I will contact the area hospistols to see if he is a patient. Beep! Beep! Rev. Titus is here! Brrrrrrrrrr! Its cold outside. Thermometer reads 65 degrees, coldest day in over a year. The dress code of the day for some was winter coats with head gear. We clambered into the mosquito invested Toyota Diesel and headed into the teeth of “Traffics Jamming.” The beep, beep, beeping of the horns from every direction got me to thinking how the beeping of horns is different in Myanmar than in Grand Rapids. Here in Myanmar the horn is almost exclusively used to educate other drivers regarding their presence, whereas in Grand Rapids it’s used to assault other drivers. I’m thinking Grand Rapids drivers would be better off without horns and Yangon drivers should have more of them. If we are new creatures, can we become sinless? What will the new creation be like? What does it mean that man became a living soul? Is an unbeliever’s marriage a real marriage? May a widow and widower get married? If 2 that are unmarried, run away and live together, then return and want to get married in the church, is that alright? “Seth’s Side #1” exposed a conflict between Rev. Titus and dad over who has the best tree picture in their phone gallery. Although a vote among the Venus Star Five, Rev. Titus and his son Josiah was conducted, it was inconclusive. Consequently, the tree debate continues to fester and needs to be resolved. About this Rev. Titus and dad are agreed and have come to the conclusion that the conference attendees need to resolve this pesky issue. At the beginning of the session right after lunch the “Good, Good, Good” guy arranged both tree photos to be projected on the screen. Without being informed about which photo was Rev. Titus’ and which photo was dads the attendees by secret ballot voted for their choice. By the slimmest margin of 32 to 14 Rev. Titus squeaked out the victory. Out of the goodness of his heart dad graciously conceded. Hopefully Rev. Titus won’t demand a recount so this contentious battle can be put to rest once and for all. Following the afternoon session Hope’s delegation held an extended meeting with Rev. Titus and two leaders of churches in the Rahkine state to interview, encourage, and answer questions about their labors. While their meeting was in session a serious game of Uno was being played in the parsonage eating area. Had mom not given these cards to Certe when she visited the states, I would have been stuck doing dishes with my card-playing ladies. While the ladies weren’t too bad at playing Uno, they definitely need to practice their card shuffling skills. Check out “Seth’s Side’s” 4 and 5” to see where we went for supper. Venus Star Five wives, make sure you check out their exercise regimen and be comforted that they are not becoming couch potatoes. Goodnight! Don’t let the bed bugs bite. 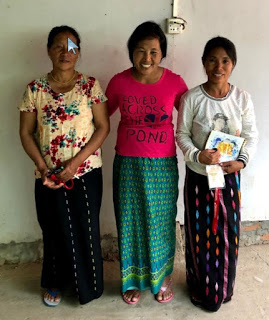 One correction regarding some previously reported fake news: In “Seth’s Side” #5 I reported: “It took them 4 days and many modes of transportation including, walking, train, boat, car, motorbike, and bus.” In discussing their trip with the ladies, we learned that they traveled four and a half days by car and boat. While their walking was minimal, they did have to walk between the car and the boat, for sure. Sometimes people say things that make no sense. 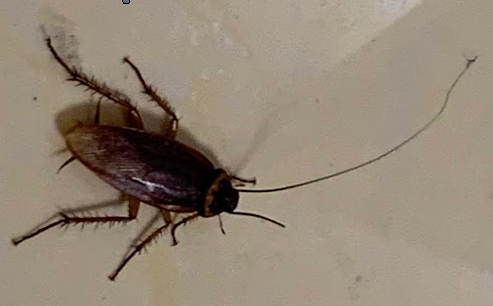 My sign off on yesterday’s “Seth’s Side” is a case in point: “Don’t let the bedbugs bite.” The obvious implication is that there are bedbugs in your bed, and you should keep them from biting. But just how would you accomplish that? Would you go to your bed, pull the covers back, begin speaking in bedbug language and say, “Listen up all you bedbugs, I’m not going to tolerate any of your biting tonight, so don’t even try?” Or would you address the bedbug leader and say, “Okay Berry, keep your guys in line tonight, tell them no biting, and if you keep them in line I will have a special treat for you in the morning?” On the other hand, if there are no bedbugs in your bed, how do you keep bedbugs that aren’t there from biting? It’s an impossible task! It’s like putting a tourniquet on your arm to stop the bleeding when your arm isn’t bleeding. After giving this some thought, I suggest that in the future rather than say, “don’t let the bedbugs bite,” we say instead, “If there are bedbugs in your bed, give them a happy meal and just try to get some sleep.” Or just say, “nothing.” But saying “nothing” has implications all of its own………. With the stupid stuff out of the way, “Good Morning!” It’s another brisk morning as the mercury reading is 62 degrees Fahrenheit. After a transfer to a smaller room last night due to a leak in a hot water pipe and a fierce battle against a few uninvited mosquitoes, I feel rejuvenated and ready for the day. So ready in fact that dad and I were able to get in a little exploring. Dad learned how to survive jaywalking with the locals, and I was able to join a few ravens in a bird’s eye view of a small part of a smog ridden city of 7 million people. The bustling streets proved that another day’s work is under way. The last few mornings I have been enjoying a form of American style French toast. Quite tasty actually! But sadly I had to eat it without Clyde’s friendly presence. As the Venus Star Five began to gather in the lobby waiting for Rev. Titus, our fearless leader “Good, Good, Good” John came in with a little bounce in his step. He seemed to carry with him a sense of freedom and happiness as he flipped his thick crop of hair back and finished tying his Longie. Hopefully he finds a way to keep it from dropping to the ground today. 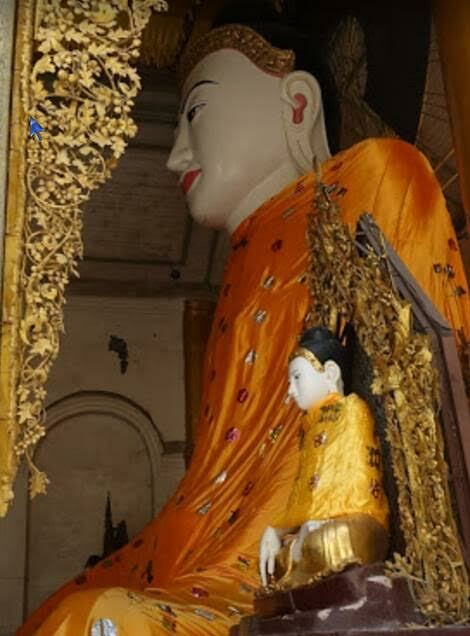 Wearing his Longie again is quite gutsy on his part considering what happened at Shwedagon Pagoda on Saturday. Confident in Rev. Titus’ ability to navigate “traffics jamming,” we have arrived at his house for the last day of the conference. Gathering now in the kitchen eating area for a cup of coffee we experience something new: Day turns into night in the blink of an eye as the lights flicker and the power goes out. Rev Titus’ brother Timothy hustles out to start up the generator (the same generator that tried to devour Rev. Titus’ leg ), and shortly thereafter we have generator powered lights. Consequently, we will run on generator power until about noon when the power comes on again. What does it mean that God created out of the ground? Is the command “Feed my sheep” only for the leaders of the church? What does it mean to teach with authority as Christ did? What does it mean that all men are united in Christ? What does it mean that there will be rewards in heaven? In what way will Christ come as a thief? How can we know if a preacher is a true or a false prophet? What happens to a baby when he dies? Does he go to heaven or hell? 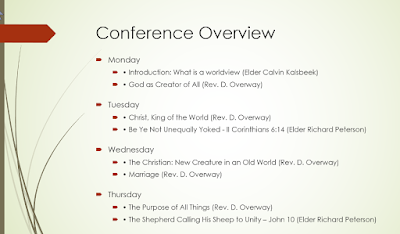 It appears the “Worldview” conference accomplished its purpose of leading the attendees to understand what in general a worldview is and to see in particular what a Reformed Worldview is; and further to learn that a Reformed worldview governs a believer’s life in the home, church, and world. While it would have been impossible to do this exhaustively in eight speeches, many of the significant areas of importance were ably addressed. Interestingly the discussion and questions at the seminar strongly suggested that the subject for our next conference should be “The Five Points of Calvinism.” To this many of those who attended agreed. No doubt Rev. Titus’ translations into Burmese of the Three Forms of Unity will be of significant value for a conference on that subject. These were distributed to all those who attended the seminar. After graduation, our Council delegates had a meeting with the Council of the PRCM and were asked many of the questions used for Church Visitation. While that meeting was in session, dad and I joined the unsung heroes of the conference for another game of Uno. It was obvious that some had taken our advice of yesterday to practice shuffling the cards. Today it was time to give some advice regarding the rules of the game. One rule was overlooked for Certe due to her difficulty in mastering Latin. We allowed her to say “last card” instead of “uno.” The most important correction we pointed out was the need to be penalized if caught neglecting to say “uno” when they laid their second to the last card. Once this rule was implemented, the game instantly, significantly ramped-up in intensity. From then on it was mayhem and chaos. No longer did their cultural inclination not to offend control their behavior. The East and the West were on a level playing field, no hands barred. I need to say a few things about the unsung heroes of the conference: Certe and the kitchen help. 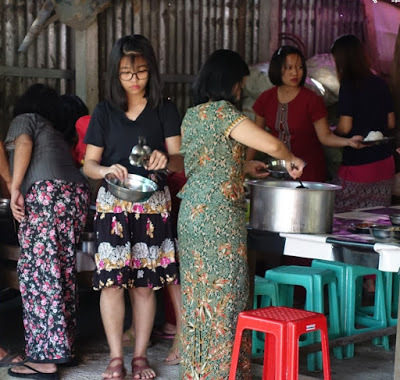 Consider this: nearly 60 people had to be a given 3 meals a day for about 10 days, and cleanup was more than throwing away disposables, it was washing and drying all the dishes by hand. How can we thank them enough? It’s been a long, rewarding, and enjoyable day! Good night. If there are bedbugs in your bed, give them a happy meal and just try to get some sleep. It’s been seven days since we have seen Clyde, and he is not present this morning either. It may be that we have lived in denial long enough. It’s time for us to face the sad reality that Clyde is no longer with us. Clyde was the one that greeted us when the Venus Star Five first ate breakfast at the Venus Star Hotel. It’s because he took the time to enthusiastically greet us that his disappearance so dismayed us. Clearly Clyde was no respecter of persons. It did not matter to Clyde that the Venus Star Five were Dutch or that we came from a foreign country. He shared his home and food with us willingly. It was this selfless spirit of Clyde that so endeared him to us. So as we leave the Venus Star we bid dear Clyde a heartfelt farewell by using a picture of him as our ending punctuation mark. After drying our tear-stained cheeks, Josiah unexpectedly graced us with his presence. 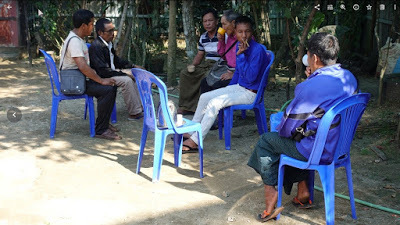 Josiah had left his father to meet with Hope’s Council members to wrap-up some items regarding the mandate Hope’s Council assigned their Myanmar Committee. This worked out perfectly for dad and I because we wanted to ask Josiah about the work of the Hope Literary Society of which he is a zealous member. 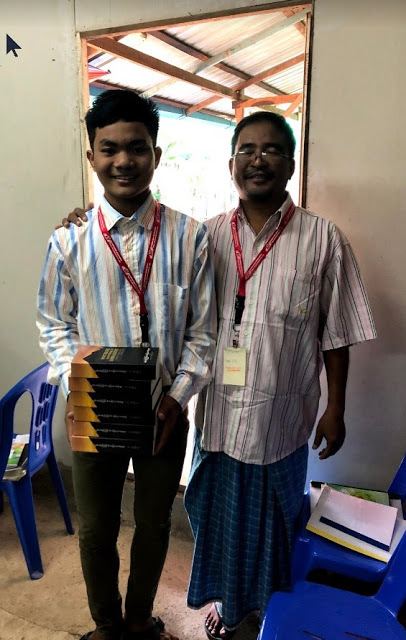 Josiah informed us that the society’s purpose is to publish and distribute Reformed literature in the Burmese language. While this purpose is on-going, their past publication activities demonstrate their enthusiasm for this work. Josiah told us that they have already published all of the PRC’s catechism materials and the Three Forms of Unity. Just recently a Burmese translation of Doctrine According to Godliness by Rev. R. Hanko has come off the press and is already being distributed. 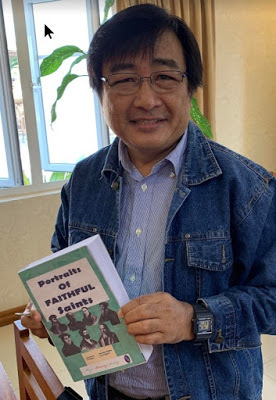 Their next project, Portraits of Faithful Saints by Prof. Hanko, is already typeset and is about three months out from printing and distribution. The source of these publications in Burmese is Rev. Titus’ translating work which he distributes to his congregation as the weekly “Sunday Digest.” Rev. Titus produces this digest to spiritually enrich his members and to serve as future book projects. One of these digests greeted us last Sunday morning when we sat down to worship. 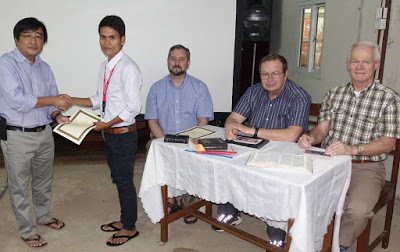 This particular digest included a translation into Burmese of a chapter in I Samuel, a chapter from the book The Five Points of Calvinism, a chapter from Come Ye Children and an article from the Confession of Faith. Not only do these digests serve the spiritual growth of his congregation on a weekly basis, they also serve as parts of future manuscripts for publication by the Hope Literary Society. Books currently in this process include The Five Points of Calvinism, Come Ye Children and the Old Testament of the Bible. 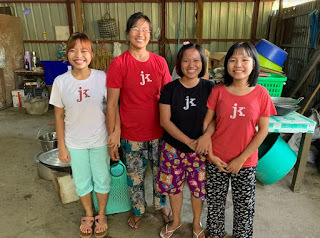 Josiah estimates that the Burmese King James Version of the New Testament will be available in about three months, The Five Points of Calvinism in one year, and Come Ye Children in about 6 months. 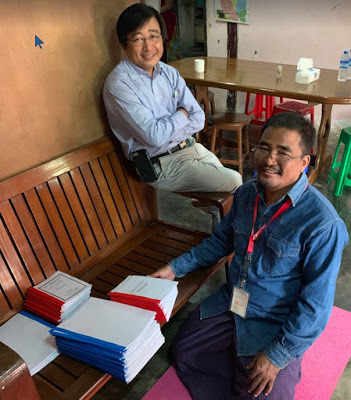 The interest of the broader population of the Burmese people in these books remains to be seen, but Josiah is confident there will be a good market for them. Time will tell. Rev. 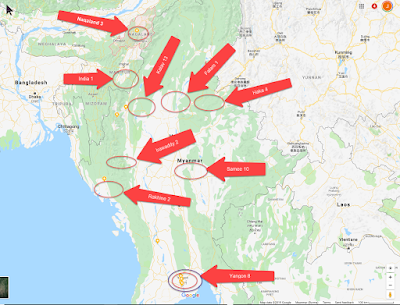 Titus’ contacts in many areas in Myanmar (see map in “Seth’s Side” # 4) have led the Hope Literary Society to publish 500 copies of each of these books. As we wrapped up our interview with Josiah, Rev. 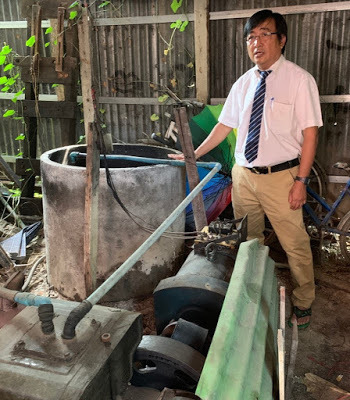 Titus and Hope’s Council members returned from their meeting and we boarded the Toyota Diesel for a “traffics jamming” tour of parts of the city of Yangon. 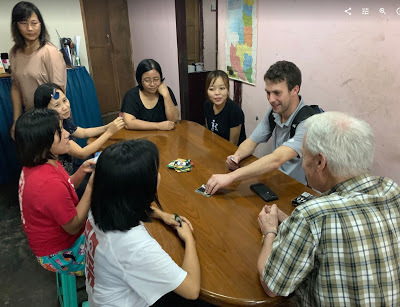 Of particular interest to us were areas of extreme poverty, the Gem Stone Museum, three chained elephants, a shopping mall, and the Pizza Company where some energetic, out-of-control, unsupervised Burmese children were playing cops and robbers with guns made out of legos. For me this was a trip to remember! Let me reflect a moment on what happened leading up to the trip and the trip itself. Just over a year ago Rev. Titus and his wife Certe came over to my parent’s home for supper. As that night came to a close, Rev. 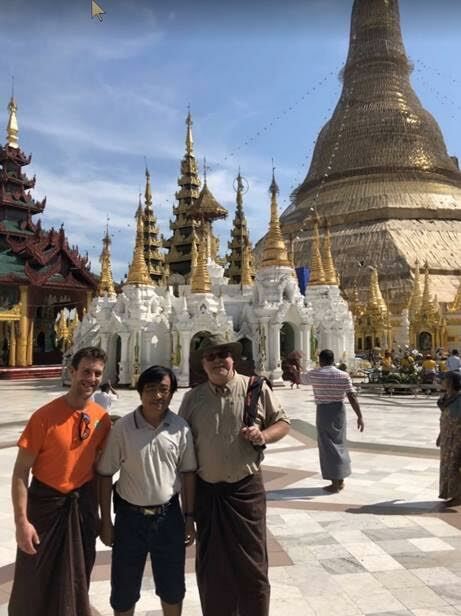 Titus asked me a question: “When will you come visit us in Myanmar?.” As spring turned to summer and summer to fall, his emails to my dad contained sly remarks about me and a journey to Myanmar. My outlook on this matter began to change as news of Hope’s Council sending a delegation there in January, and the interest shown by my dad and John VanBaren of going along. “Good Good Good” John sold the deal and I was on board. Wheels up to Myanmar. This week was a very enjoyable week for me. 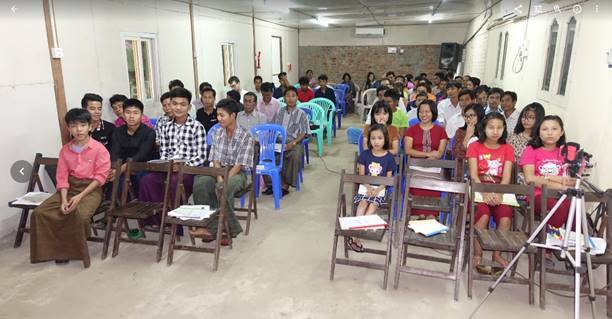 Not only the meeting of God’s people in a faraway land, but also growing with them spiritually as one body of Christ. 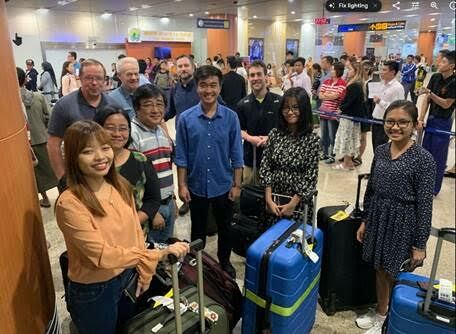 We have different cultures, different languages, different backgrounds, and we live on opposite ends of the earth; but we are united in our belief in the Triune God, the Creator of the Heavens and the earth and in Jesus Christ our Savior. With tears in my eyes I bid farewell to Rev. 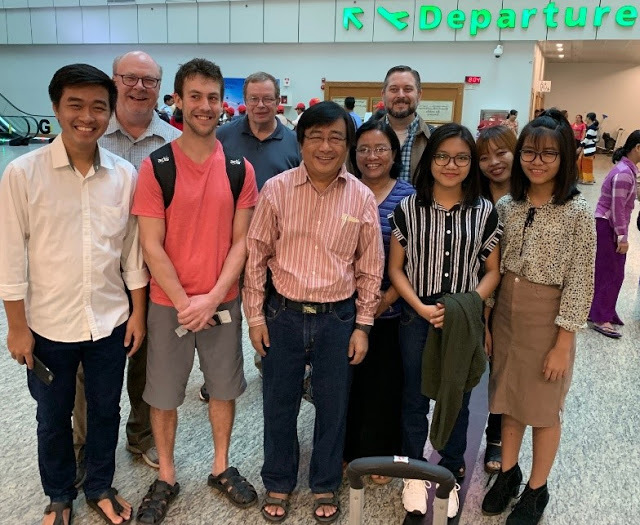 Titus, Certe, Jemimah, Josiah, Joanne, and Janette at the Yangon airport. as we prepared to board Silk Air for a two hour flight to Singapore. My memories of this week are endless, and I encourage all “Seth’s Side” readers to consider, a trip to Myanmar. It will be a trip you will never forget. New friendships with believers will be established. No, it’s not a sandy Florida beach or a rocky mountain slope, but it is an opportunity to experience first-hand the unity of the church of our Lord Jesus Christ. If the Lord wills that I receive an opportunity to return, I will strongly consider it; that’s for sure. A word to “Seth’s Side” readers: Thank you for taking the time to read my side of the story, but you should know that this was a team effort(picture of team) .The method to the “Seth’s Side” madness began with my journal entries, followed by proofing and editing by myself and Dad, with “Good, Good, Good” John providing the good, good, good stuff (pictures and videos) including the tech. support.